On this episode we talk about the wild white haired Isle of Wight wizard who fuels the daily fight against the invisible inter-dimensional lizard people who feed off our fear, David Icke. 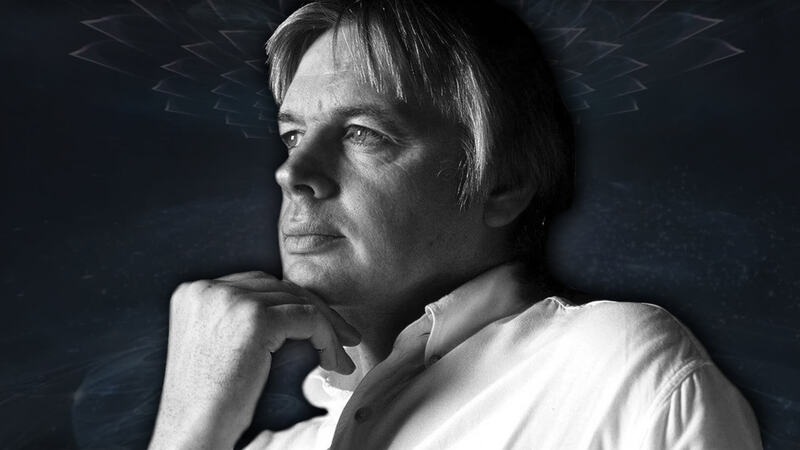 From second division goalkeeper to BBC sports presenter by way of a crippling case of arthritis, Icke made a name for himself in media in Britain and was practically a household name. He made a grave error however when he announced to the country on the Terry Wogan show that he was ‘Son of the God Head’ and was ridiculed. This incident came after a swift bout with some spiritual delusional behaviour which saw him travel to Peru for a vision quest. He found his destiny among a small pile of rocks off the beaten path and had the knowledge of the universe downloaded into this mind by an ineffable force just in time to get home for tea. His knowledge and insertion in to the Green Party political circles saw Icke’s esoteric star rise and his notoriety as a public speaker and anti-establishment figure rose. He was a prolific writer and took full advantage of the 90s era reemergence into the spiritual. He wrote of inter-dimensional forces and the cleaning of the soul; and using contemporary media imagery was able to create a mysterious cult following around him and his teachings. Tantamount to a religious leader Icke began giving lectures far and wide and now regularly fills such auspicious venues as Wembley Arena for mammoth 12 hour lecture sessions. The Archons or Lizard men or Anunnaki or whatever you want to call them, have been David Icke’s signature conspiracy theory for quite some time and he is synonymous with accusations of prominent politicians and royalty of being in the evil Illuminati as he calls it. The massive body of work and dearth of knowledge Icke has is almost unmatched but we ask is it all a clever act using peoples desire for an areligious faith to get them through their hum drum lives with a bit of pomp, ceremony and alien spectacle? We discuss David early life and discovery of this valuable information and dissect some of his grander theories into their component parts. Men’s rights is anti-feminist in the same way white supremacy is against the Black Panthers. If you don’t get that you’re ignorant and a crybaby. Time to clue in and start being honest.